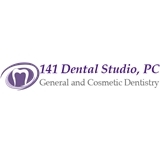 141 Dental Studio, PC (New York) - Book Appointment Online! We provide compassionate, caring and quality dental care in a comfortable environment. Everyone in the office is great. Care is great! Not one complaint!